For most, Helsinki occupies something of a cultural grey area. Not quite Scandinavian, but undoubtedly Nordic; and not entirely Eastern European, yet tantalisingly close to Russia, you might be forgiven for wondering just what this European capital has to offer. Indeed, what is Helsinki like to visit? What experiences does it offer its visitors? And what are the best things to do in Helsinki? 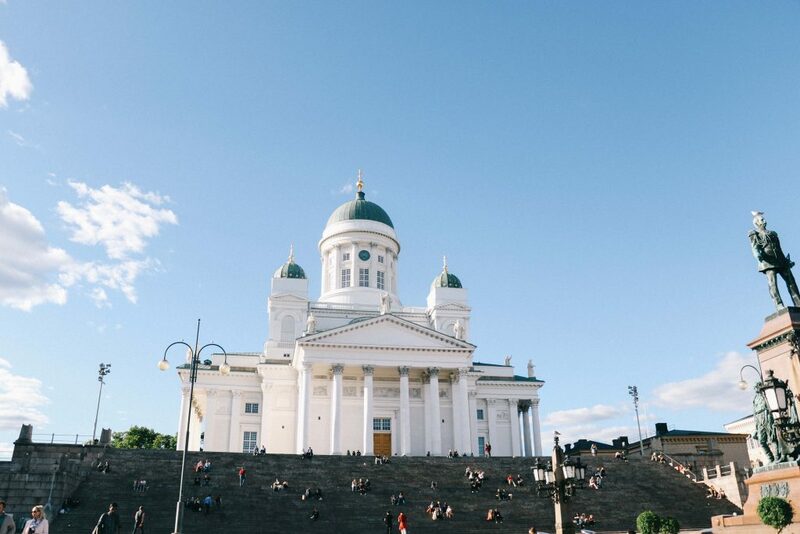 Before we begin, it’s perhaps important to note that whilst often overlooked as a European destination, Helsinki possesses its own uniquely vibrant and Finnish character; one you’ll be hard matched to find elsewhere. The property of Sweden since the 13th century, Finland was later declared the jewel in the Russian crown; the city transforming from a fishing backwater into a glittering capital. 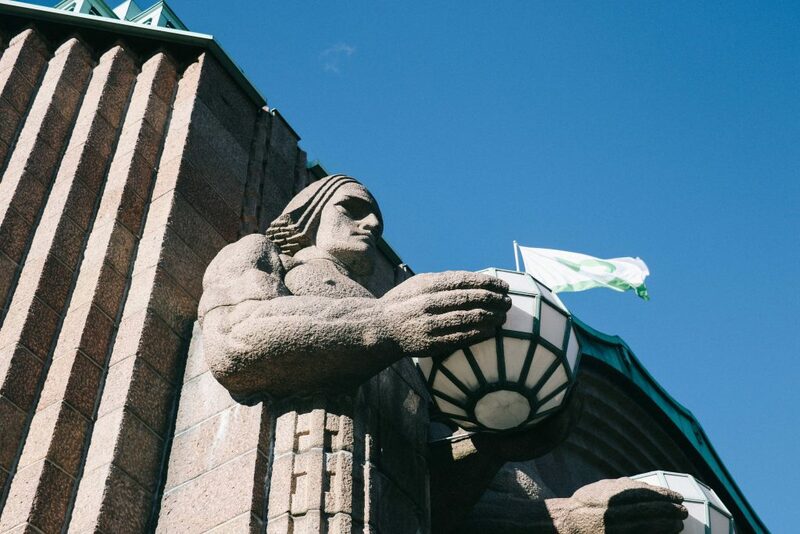 Following the country’s peaceful transition to independence in 1917, the city assumed its final role: developing into a self-assured, determined and uniquely Finnish capital. It even found its own word: ‘sisu’. 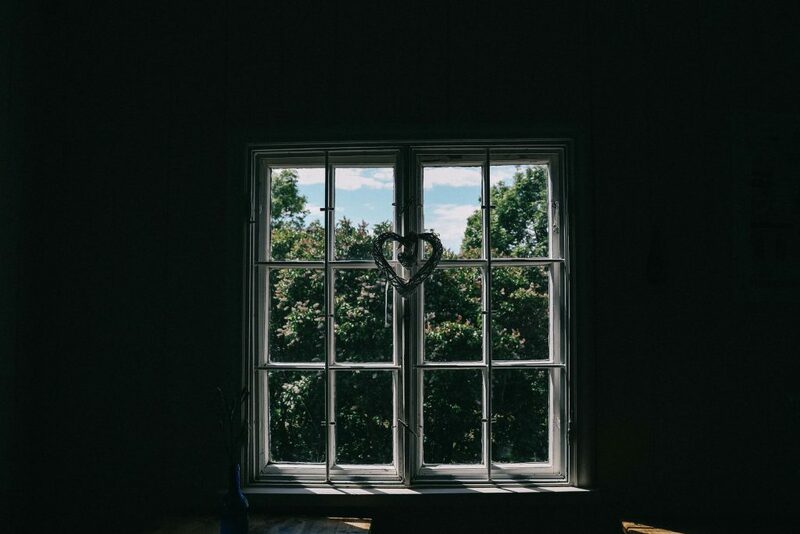 “Sisu refers to an inner grit to overcome and endure”, our guide to Helsinki, Elisabeth, tells us as we arrive in the city. “It’s not a word you’d shout out loud, but one you’d say quietly to yourself – to help you deal with swimming in the sea on a winter’s day, perhaps”. I try the word out for size, hissing the ‘s’ as I go. “Our winters here are challenging, so we don’t worry about being too stylish or overdone. We just need to be warm and dry when we’re outside with nature – which, of course, is where most Finns want to be”. With a passion for nature and a determination to enjoy it (regardless of what the weather might throw at them), Finland is neither overshadowed nor intimated by the countries surrounding it. Instead, its attentions lay elsewhere: inside a quiet sauna, or within a ravine-filled forest. It is the very definition of ‘Nordic Cool’. Let us start this guide to Helsinki with perhaps the most obvious question: how to get to the city. Spanning a vast peninsula, with Tallin to the south and St Petersburg to the east, Helsinki is just a short three-hour plane journey from London’s Heathrow Airport. Travelling with the award-winning airline, Finnair, we were able to take advantage of the airline’s status as Europe’s ‘portal to the east’: boarding an airbus eventually bound for China. As a result, we enjoyed inflight entertainment on HD screens, a food and drink service, and an immaculately presented cabin. For those considering a trip to Helsinki, I’d highly recommended Finnair as your airline of choice. Arriving in Helsinki’s seemingly infinite airport, we quickly found our way to the underground train station, which runs directly to the city centre (take either the I or P train). Incredibly straightforward to use, we purchased a HSL regional ticket (cost: €5), which worked not only on the train, but on all other forms of public transport. Alternatively a day travel card is just €12. These can be bought both at the airport or once inside the train (seek out the little ticketing compartment). Once in Helsinki, the public transport is easy to use. Whilst the buses are regular and comprehensive, for those seeking a slightly more romantic transport experience, then the city’s trams come highly recommended. Painted yellow and green, they reminded me of the trams of Lisbon, offering a lovely way to see the city. Your HSL tickets are valid on both the trams and buses (just remember to swipe them against the sensor when you get on and off). No guide to Helsinki would be complete without some advice on where to stay. After a short five-minute walk from Helsinki’s train station, we arrived at our home for the next few days: the ‘Helsinki Residence‘. Turning the key, we walked inside: a rainbow of colours meeting us. 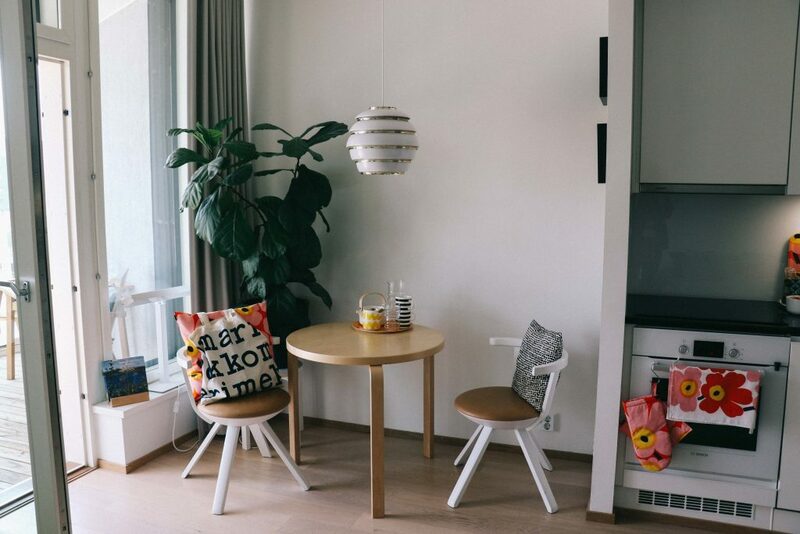 A concept dreamed up by the imaginative lot at My Helsinki, the ‘Helsinki Residence’ welcomes bloggers, journalists and press, and is located in the wider Aallonkonti Hotel Apartments building. 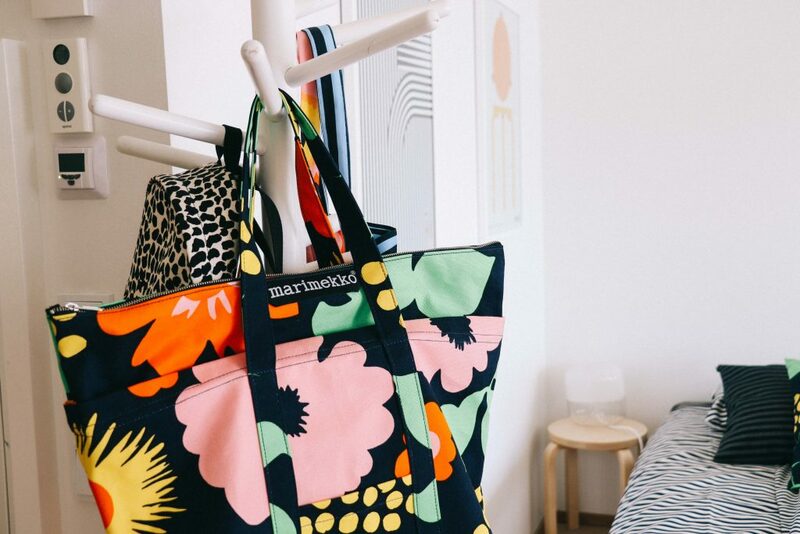 Decked head to toe in the designs of Finland’s beloved designer, Marimekko, the apartment offers everything a visitor might need during their time in Helsinki. 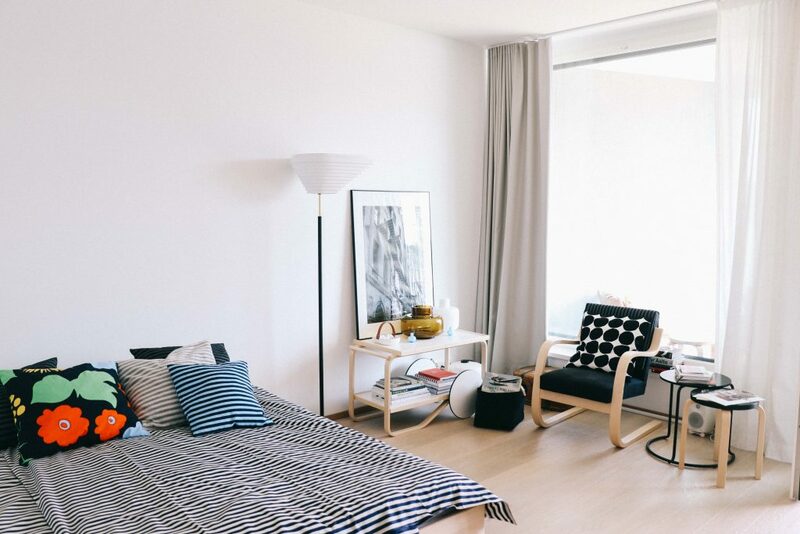 Boasting designer wellies for if it rains, robust winter coats for when it snows, anoraks, Marimekko-designed bags, flip flops and sunscreen, the Helsinki Residence again hinted at the Finn’s attention to their environment. It was one of the most beautifully designed places we’ve ever stayed, and included an extensive and comprehensive list of things to do whilst in Helsinki. “We just want you to experience authentic city life”, Elisabeth explained as she arrived a little later, handing over our Helsinki Survival Kits. “And to provide you with all the practical things you might need during your stay”. Inside, the kits were filled with restaurant vouchers, maps and guides. I asked her if people really used the wellies or anoraks. “Oh, yes. In Finland, you have to make the best out of any situation – however wet or cold”. I sensed the presence of ‘sisu’ hovering behind her words. A destination worth visiting both in summer and winter, there are plenty of things to do in Helsinki. 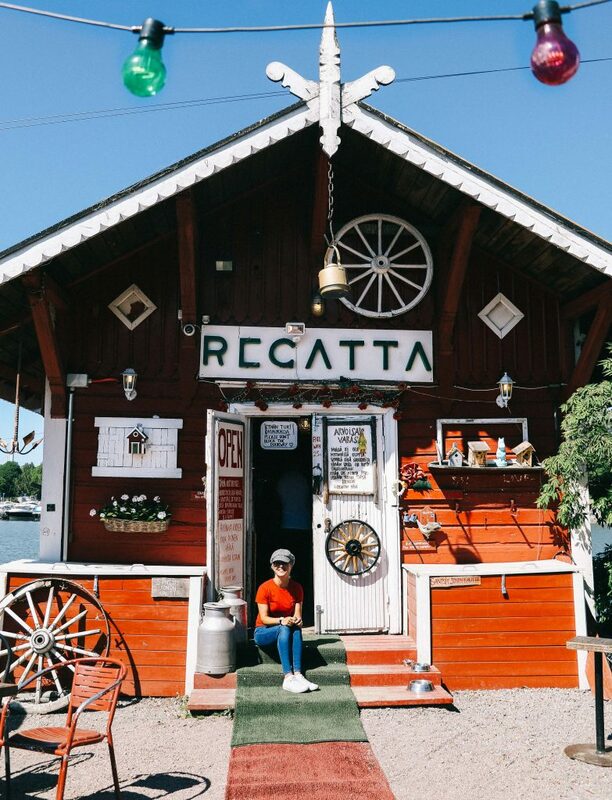 Although the Finnish nation is only recently urbanised (most people were living in small towns or villages until the 19th century), Helsinki is nonetheless crafting its own unique take on city-life; blending nature with dynamic museums, an upcoming food scene and creative outlets. It is a city that prides itself on being distinctly Finnish: with one institution in particular supporting this objective – the public sauna. It’s difficult to stress just how important saunas are to the Finnish nation. As such, it is an activity that cannot be missed from any guide to Helsinki. 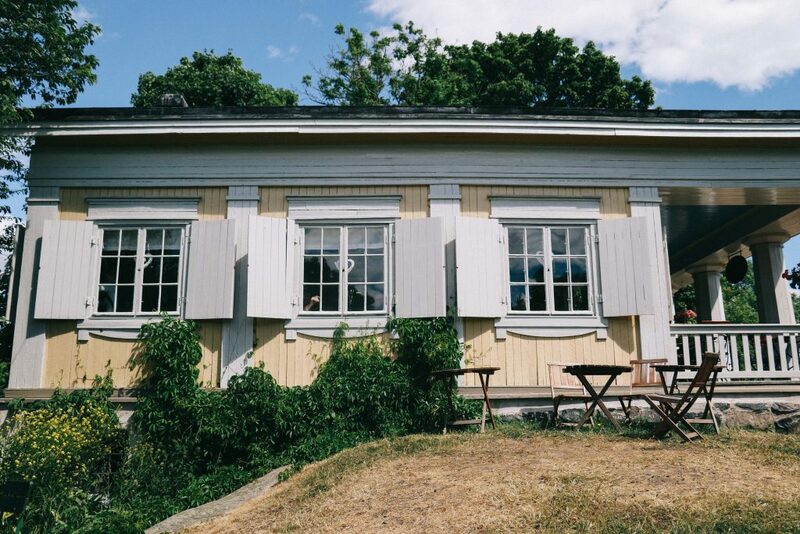 Far from just a cultural thing – like a British cup of tea or a Spanish siesta, perhaps – the sauna appeals to the Finns on an almost cellular level; as though those hot, wooden rooms are somehow built into their DNA. 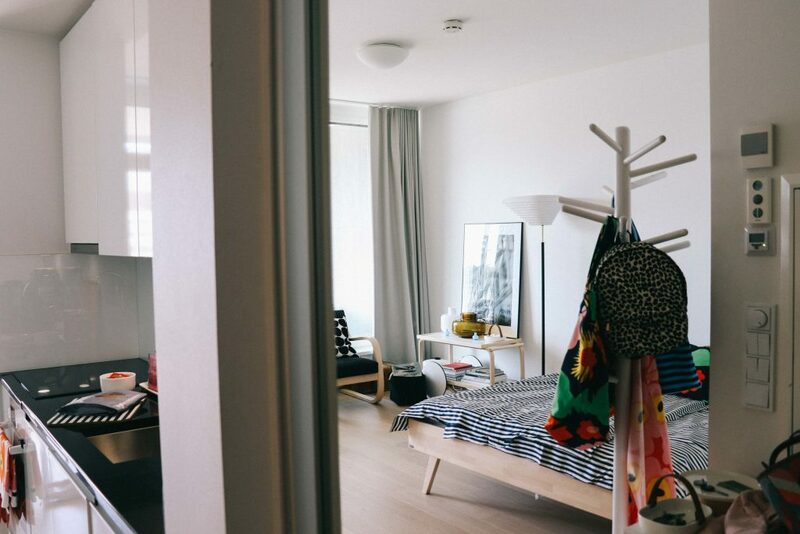 Thirty-square-meter-apartments have them, Helsinki’s Houses of Parliament boast them – there are even saunas at the country’s airports. 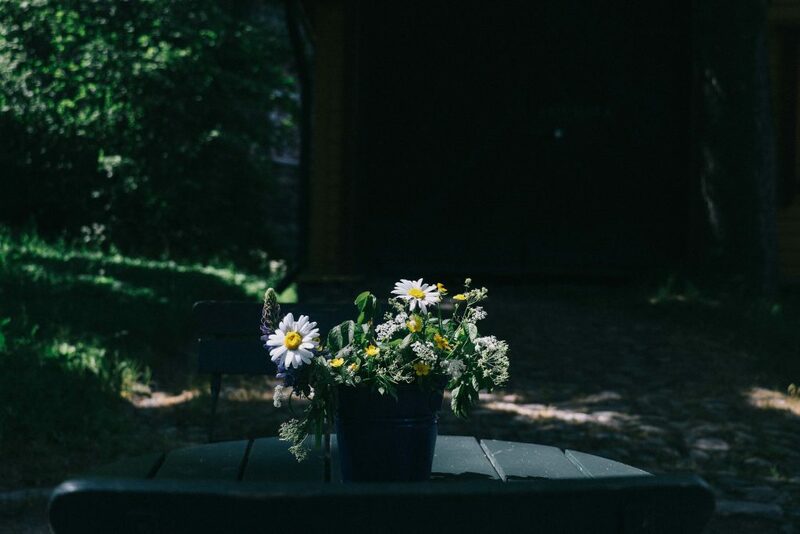 For the Finns, saunas are not just places to relax, but environments to socialise, to reflect, to connect with nature, to improve health, and to do away with hierarchies (in a sauna, everyone is equal). Once upon a time, they were even places to cure meat (saunapalvi), to give birth, to cleanse corpses and to make those final farewells. Indeed, in Finland, saunas are a religion. 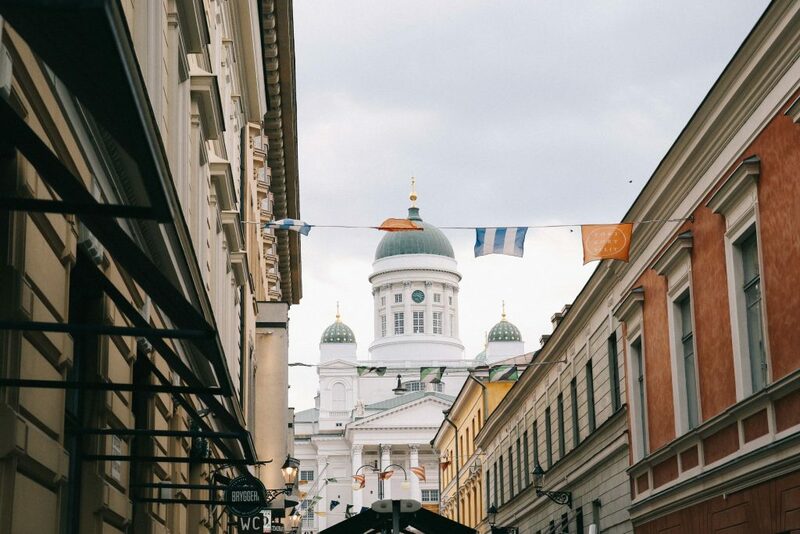 It therefore goes without saying that if reading this guide to Helsinki, one of the first things you must do is take part in this distinctly Finnish rite of passage. 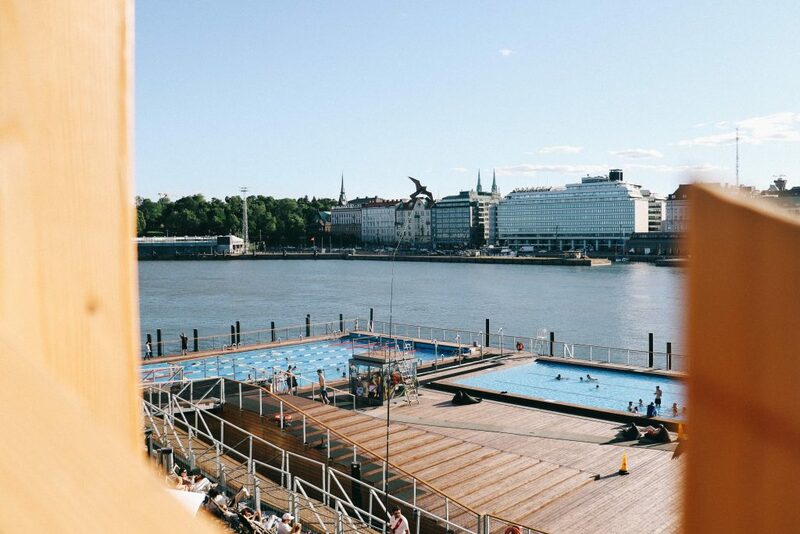 It’s a strange experience to be floating in an outdoor pool, surrounded by shoppers, fishermen and tour boats, but then again, Allas Sea Pool is a sauna experience like no other. 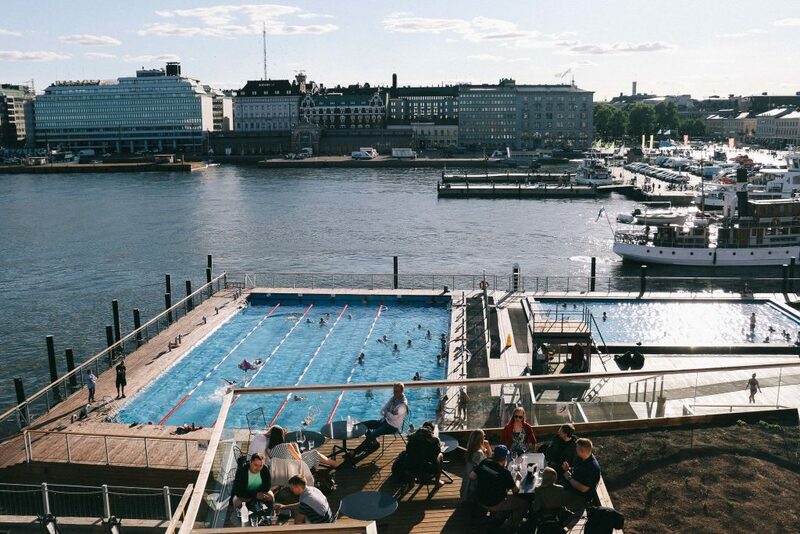 Positioned in the heart of the city, next to the Kauppatori marketplace, it is here that visitors can experience the traditional Finnish sauna and bracing outdoor dip, all whilst absorbing the buzz of city life. “I feel a little exposed”, Claire muttered as we power-walked from the warm sauna to the outdoor pool. Jumping in, the rush of cold made my skin prickle and lungs contract. It was an incredibly invigorating experience and after a few tries going back-and-forth, I soon forgot I was in the city centre wearing nothing but a bikini. Indeed, in Finland, it seems that there is nothing more natural than seeing your half-naked colleague jumping into the sea whilst doing your shopping. 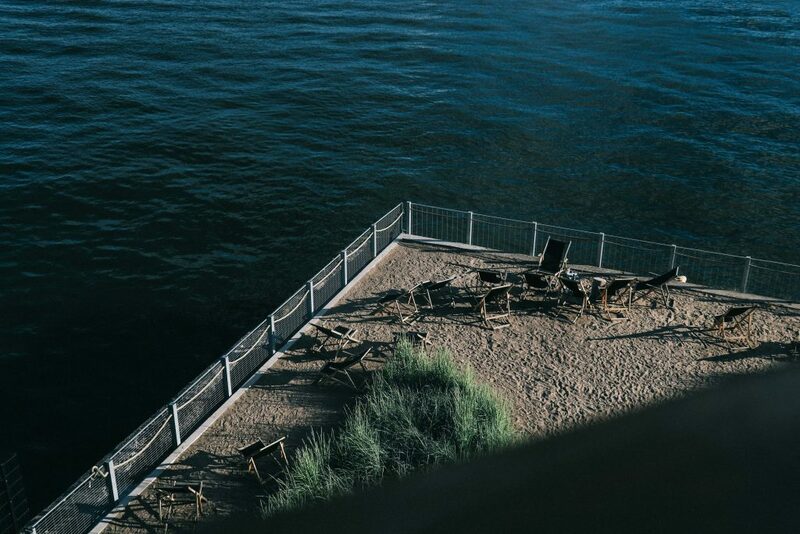 Alongside offering traditional wooden saunas and three outdoor pools (including one salt water pool), Allas Sea Pool also boasts a beautifully designed restaurant and rooftop bar; a perfect place for evening drinks in the summer sun. It was by far one of my favourite things to do in Helsinki, and one that should be included in any guide to the city. Although Helsinki offers a host of public saunas, another that we were keen to visit was the fashionable Löyly. I had read in one guide to Helsinki that this sauna was one of the city’s most fashionable, located in the former industrial area of Hernesaari. Inside, an open fire burns, offering an inviting place for locals to gather after a winter’s dip. 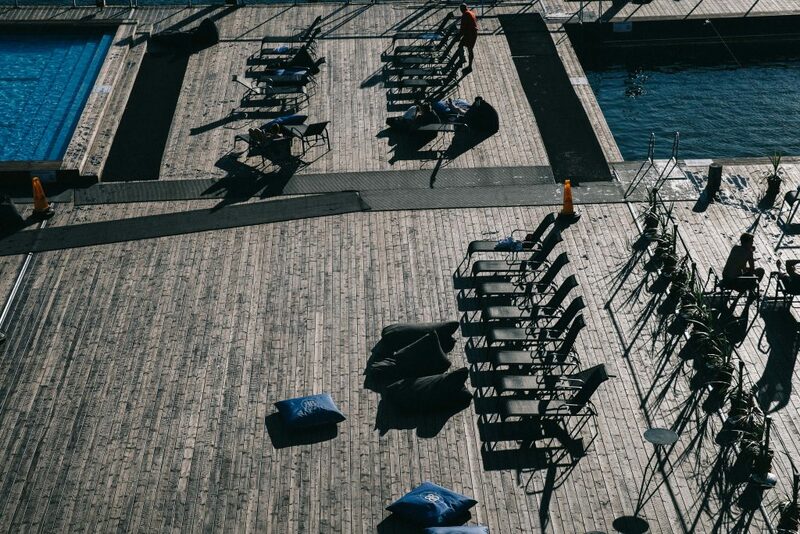 During the summer and crowds gather outside on the decking area, ready to celebrate Midsummer with a sauna and a swim. Visit Löyly to experience three different sauna experiences (including a traditional smoke sauna) and, if visiting in the winter and feeling brave, the chance to take advantage of the avanto: a hole in the sea’s ice where heroic Finns take the plunge. “It makes us feel alive and back with nature”, one of Löyly’s friendly staff told us. “It’s important to feel like that even when it’s cold”. If planning what to do in Helsinki, particularly during the winter, let a visit to Löyly be it. Whilst Helsinki is backed by roaming forests and lakes, ahead lies a sprawling and seemingly endless archipelago. Consisting of around 330 different islands, Helsinki’s geography reminded me of Stockholm: a bustling city, surrounded by small oases of quiet. “I’d like to live on one of those islands with just the cat”, Claire had commented as we came into land just a few days earlier. It was an objective she seemed to share with much of the Finnish nation. Now invigorated and positively glowing (I assume) from our sauna experience, we decided to spend our afternoon exploring Helsinki’s archipelago: beginning with a visit to the famous fortress island of Suomenlinna. Having read another guide to Helsinki, we were reassured that getting to the island would be incredibly easy, and we were able to use our public transport tickets to travel on the municipal (HSL) ferry to get there. Located in the city’s Market Square next to the harbour, the ferry is easy to find and travels 1 – 4 times an hour (the full timetable can be found here). After five minutes at sea, we docked first at Lonna, a tiny island featuring a beautiful little restaurant and café, before collecting passengers from the neighbouring island of Vallisaari. Declared the poster boy of ‘urban nature’, Vallisaari was originally a military installation and closed to the public. However, after the military left, the island was overrun by trees and flowers, resulting in a ‘lost city’ inspired landscape. It’s the perfect place to spend an afternoon exploring with a camera and a picnic, and an unmissable thing to do in Helsinki. Next to Vallisaari looms Suomenlinna, its dusky pink arches welcoming hosts of international visitors. A popular tourist attraction, the island has a complicated military history, belonging both to the Swedish and the Russians. 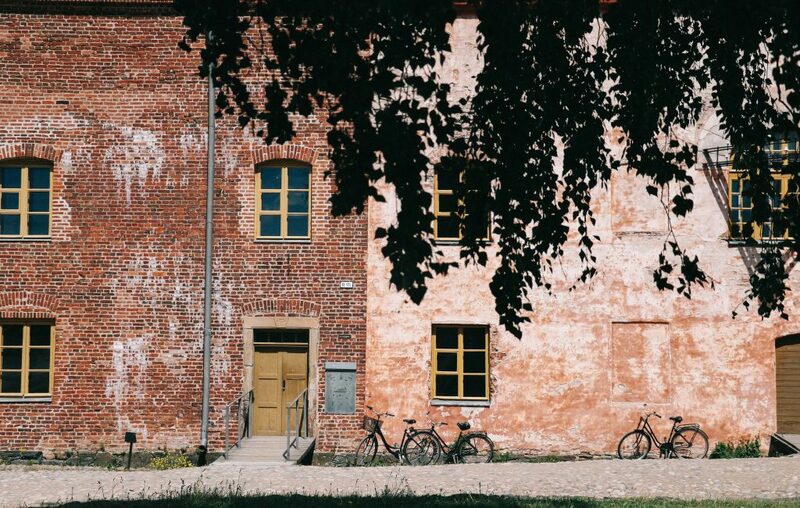 Built originally in 1748, the island was called Sveaborg and was a bustling city of its own (albeit one surrounded by wolves). One local officer even reported that the wolves were taunting his pet bears. By 1808, and now called Viapori, Russia lay claim to the island, and it underwent a brief spell as a brewery. Come 1917 and it was all change again, this time a newly independent Finland renaming the island Suomenlinna – or the Castle of Finland. Stepping off the boat, an almost azure blue water beneath us, Suomenlinna didn’t feel like a former military fortress. 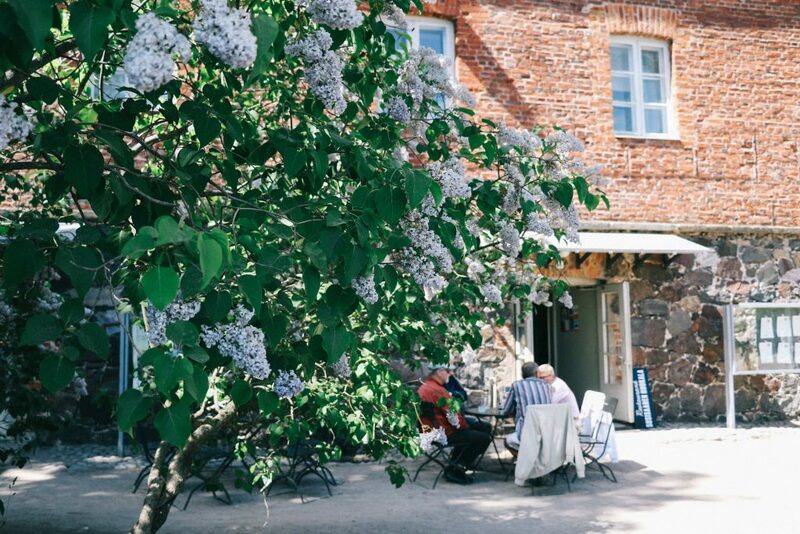 Indeed, now a UNESCO World Heritage site, with its very own community of residents, Suomenlinna is now a flower-filled, blissfully quiet oasis. 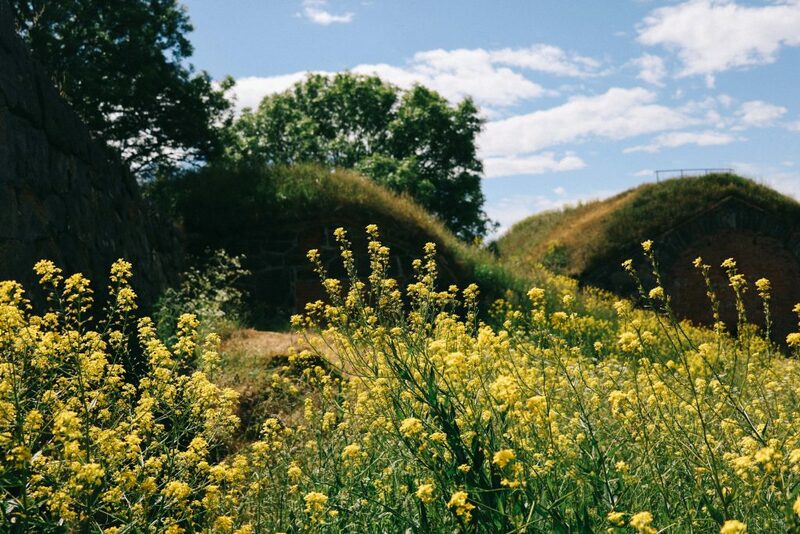 A favourite spot for Helsinki residents during the summer, we spotted families walking up into the island’s rolling hills (formed by its many dungeons and canons) with picnics in hand, ready for lunch amongst the buttercups. It was difficult to imagine that the place had ever been occupied by marching cadets or lieutenants. 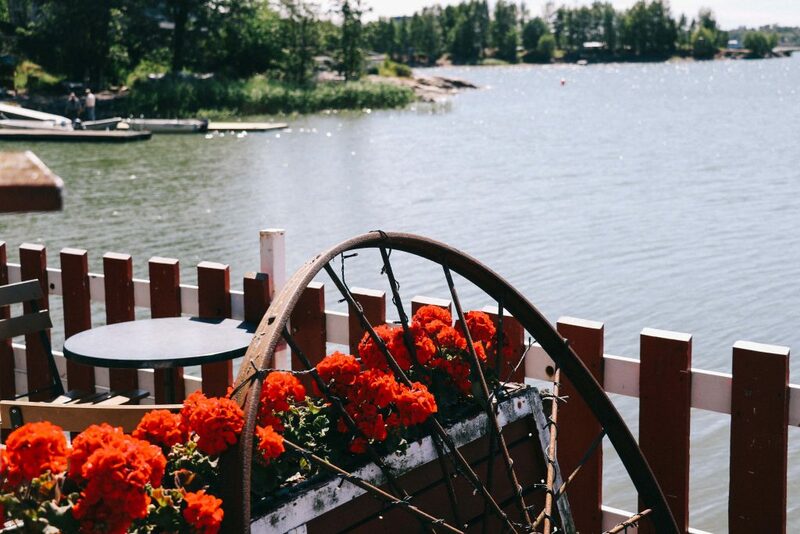 Although the island boasts a host of fantastic restaurants, we began our adventure with lunch at Restaurant Susisaari. Surrounded by meandering wisteria and clematis, we ate fresh fish outside in the sun, with only the sound of birdsong for company. 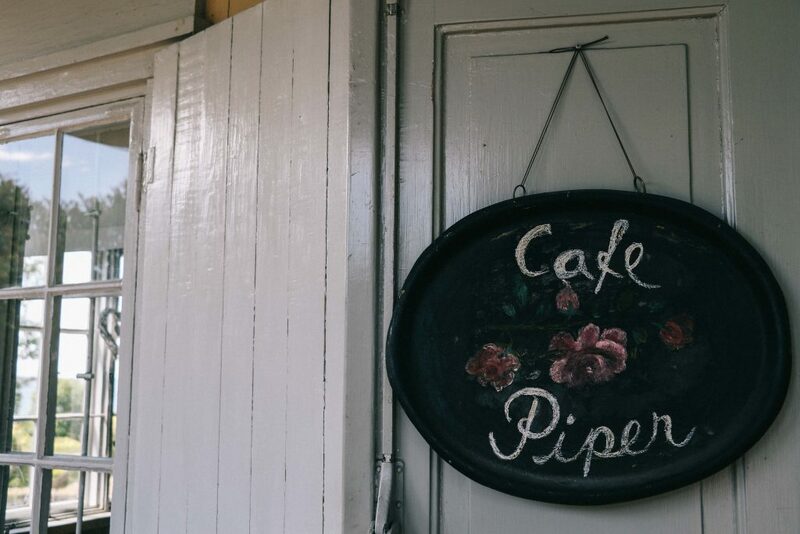 With lunch complete, we spent the next few hours exploring the rest of the island, walking through its six museums, brewery, pastel-coloured cafes and along its breathtaking cliff edges. Unsurprisingly, a visit to these islands tops most lists of things to do in Helsinki. 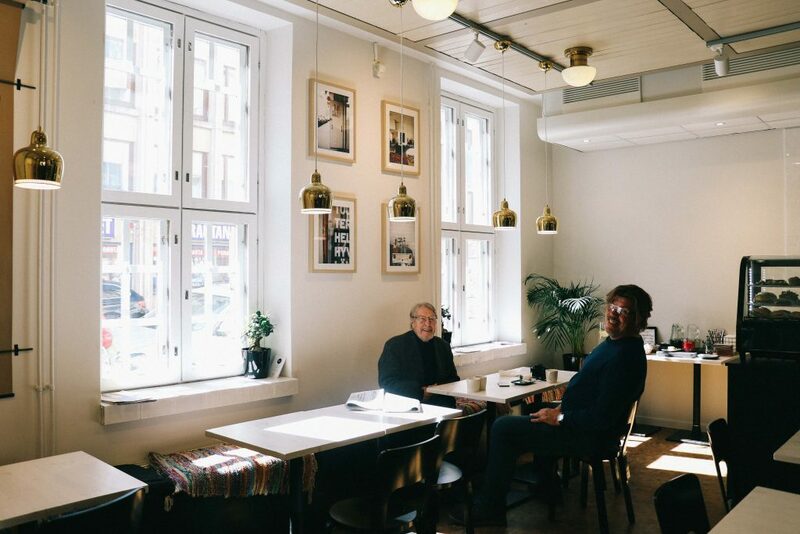 We couldn’t write a guide to Helsinki and not include this particular group of characters. The champion of saunas and nature, Father Christmas and endless lakes, Finland is also parent to one other prized export: The Moomins. As kids, the Moomins were a weekend staple, their white blobby shapes and vaguely existential conversations filling my television screen. I was fascinated by them, but also slightly disturbed. Why was Little My always so angry? 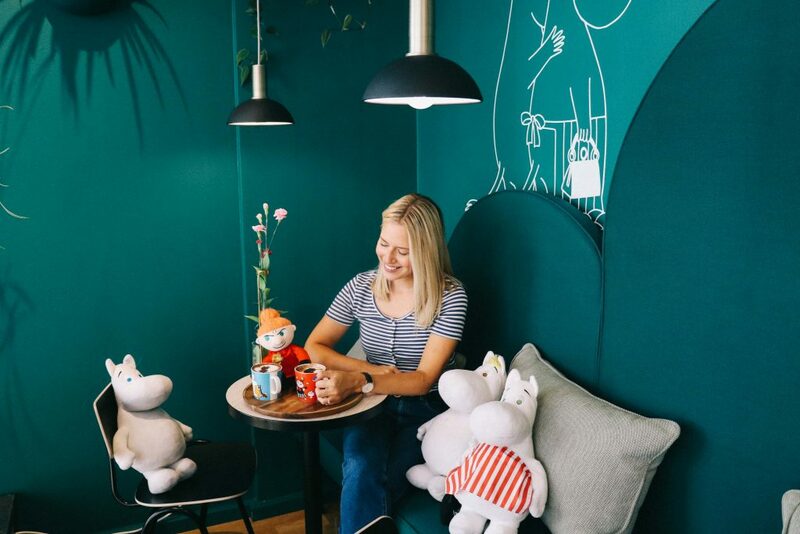 The pipe dream of Finnish artist, Tove Jansson, the Moomins are held up as an example of Finnish creativity and independence: a hint that beneath its pretty (troll-filled) valleys, is a deeper creative current. Today, and thanks to a Japanese animation company, the Moomins are celebrated worldwide, predominantly as a children’s cartoon. 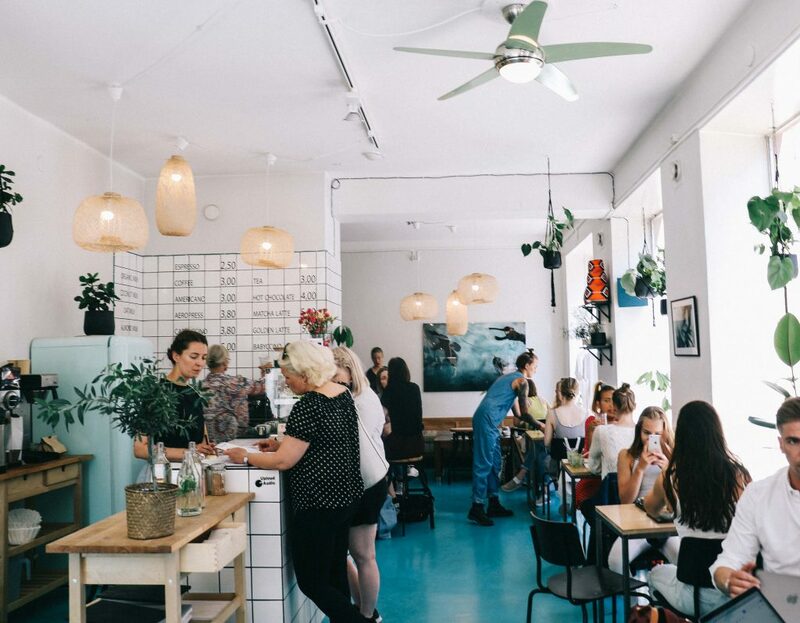 As such, it’s perhaps only right that a trip to a Moomin Café is included in this guide to Helsinki. 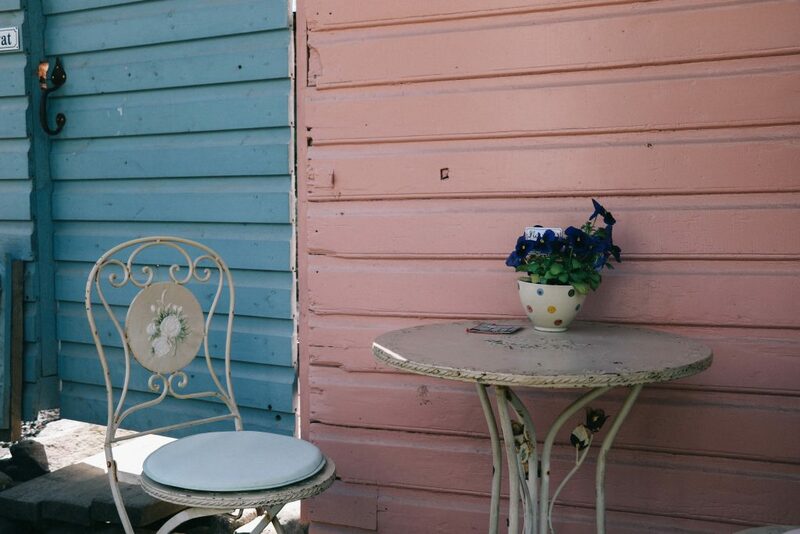 Helsinki has a number of these ridiculously cute spots, yet perhaps our favourite was the café on Fabianinkatu. 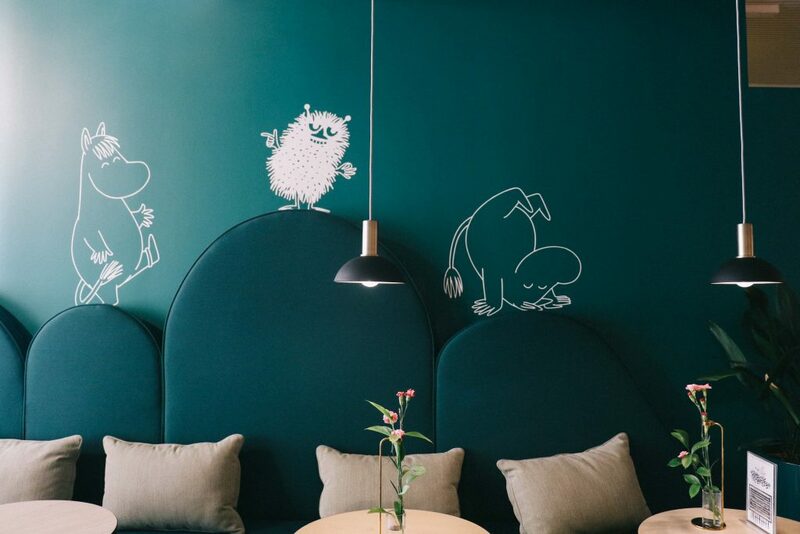 Designed to mirror the famed Moomin Valley, the café is painted a deep green and pale pink; filled with murals of the little critters. 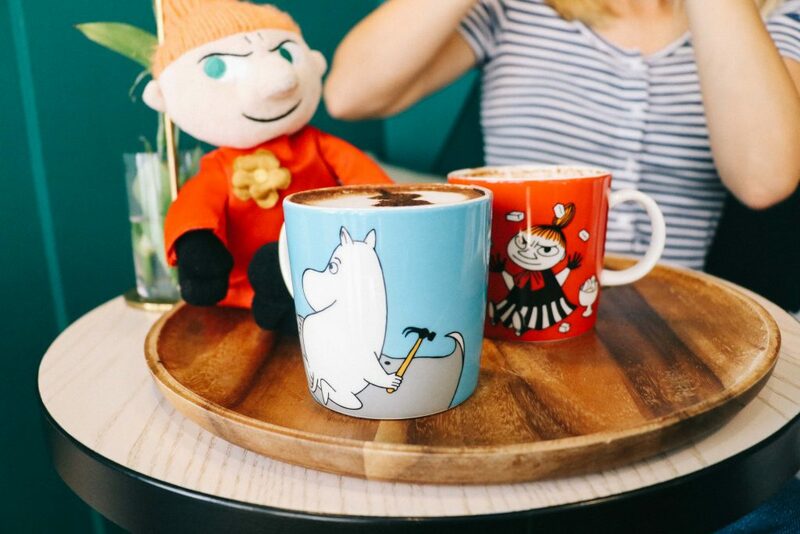 Filling the café are also Moomin toys, and drinks are delivered complete with delicate, Moomin-shaped sprinkles. Entirely empty the morning we visited, Claire and I surrounded ourselves with our new Moomin friends, gleefully drinking mugs of frothy hot chocolate. 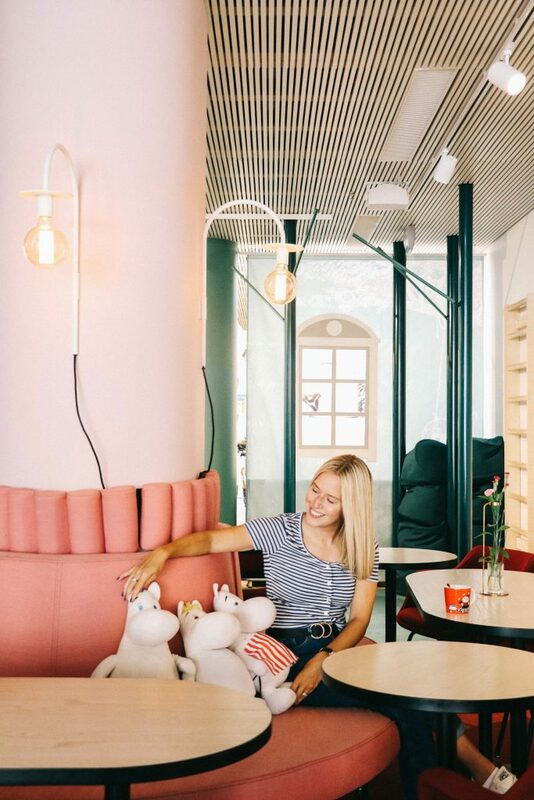 If you are looking for a slightly unusual and quirky activity to do in Helsinki, a visit to a Moomin Cafe is a must. In and amongst the city’s many green spaces lie a host of leading museums and galleries. 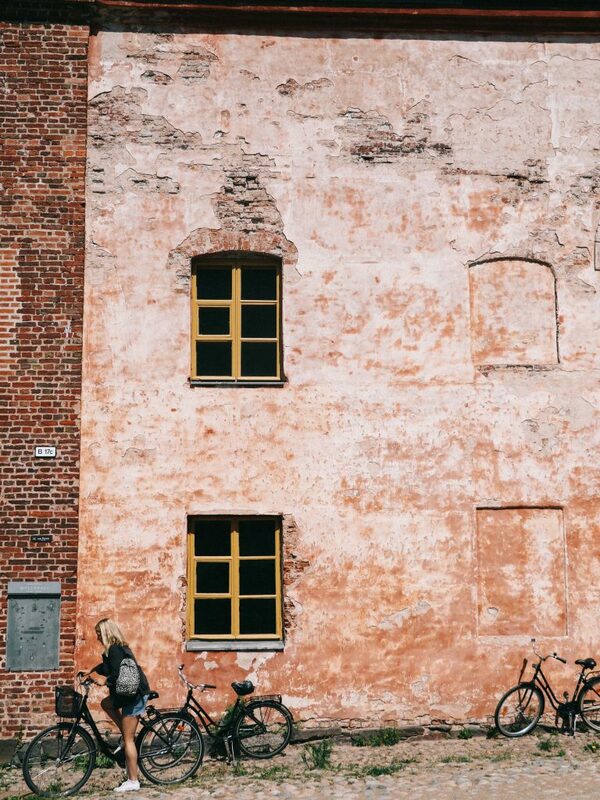 From the beautifully located Seurasaari Open-Air Museum, to the historic Mannerheim Museum, the city’s museums cater to the most eclectic of tastes. For those intending to spend more than an hour exploring these spaces, I’d definitely advise investing in a Helsinki Card, offering you free and discounted entry to many of Helsinki’s top sites. 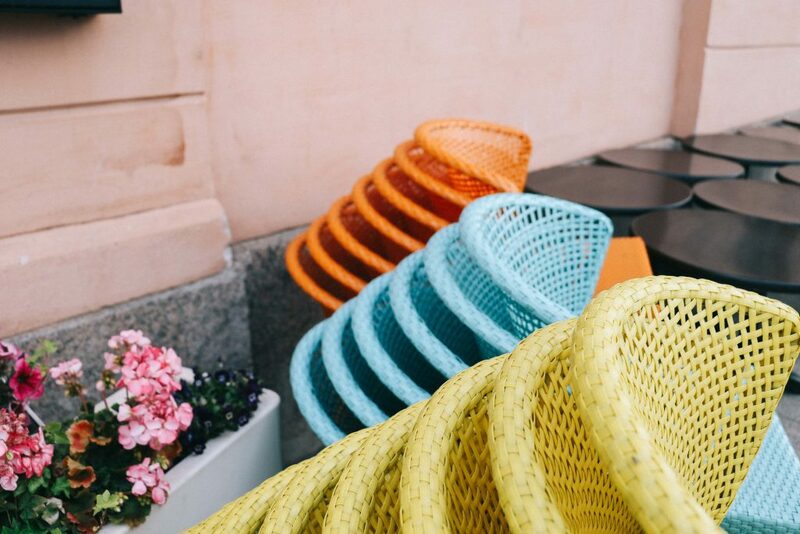 However, with limited time on our second day in the city, we decided to focus entirely on one area: Helsinki’s Design District. 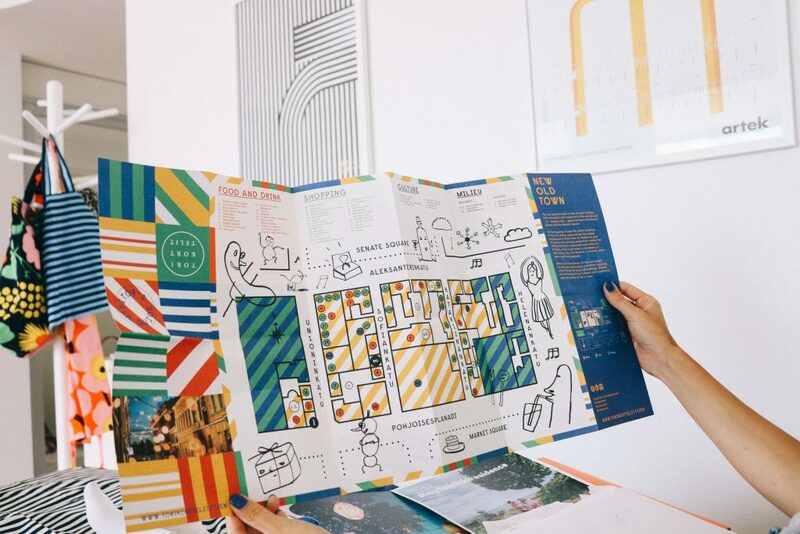 Spanning 25 streets, the District brings together the city’s leading designers, trend-setters and creatives: creating a vibrant neighbourhood filled with Finnish design and products. As someone who finds it difficult say no to a ‘concept store’, this part of the city was one of my firm favourites, despite perhaps being one of the less-mentioned things to do in Helsinki. 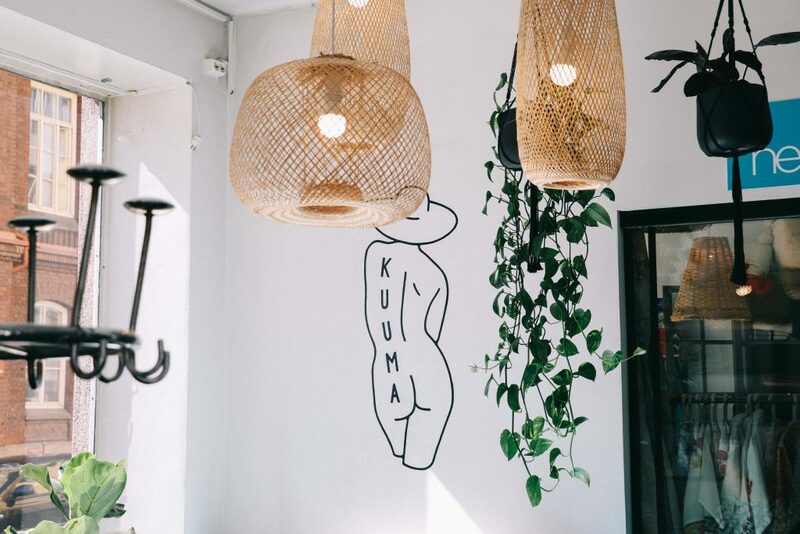 Situated behind the train station, we spent a whole afternoon exploring this diverse area: the city’s answer to a hipster paradise. For design and stationary lovers, I’d highly recommend visiting Butoni Design, the Paper Shop and the Republic of Fritz Hansen Store. For those looking for a slightly alternative museum experience, then Päivälehti Museum offers an excellent insight into all things media related. Just being in this neighbourhood made me feel ever so slightly cooler, and I only wish I’d had a little more time to explore it. Our last evening in Helsinki was spent exploring its apparently boundless Central Park. Spanning over ten kilometres, the parks reaches from the heart of the city right to its northerly tip, where the River Vantaa waits. 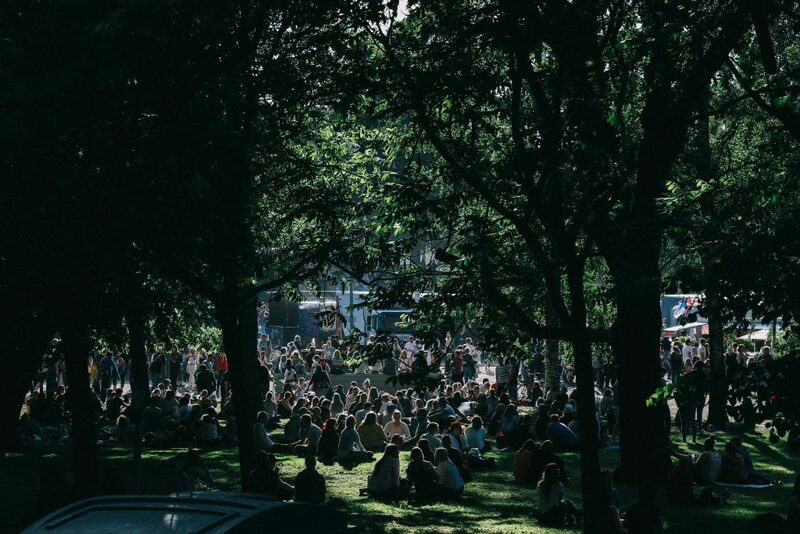 Running through the entire city, one guide to Helsinki referred to this expanse of green as ‘the city’s lungs’: providing its residents with much needed gulps of nature. Walking through it, I wondered what would happen if it were to be cut off – the Finn’s supply of all that is green, all that is fresh, gone. I imagined that they would find such a lifestyle incredibly difficult. Helsinki – and wider Finland – is no doubt a place bordered by perhaps nosier, more assertive neighbours. Certainly in the time that I’ve been travelling, I’ve never given much thought to visiting this city; my mind instead distracted by hipster Stockholm or pretty Tallinn. Yet, Helsinki’s quietness should not be mistaken for emptiness. Quite the opposite. Visit this city and you’ll soon realise that it’s a place that prides itself on its peacefulness; on its connection with nature. Rather than shouting about its latest Nordic Noir or fashion scene, it is instead sat peacefully inside a sauna, contemplating the day. 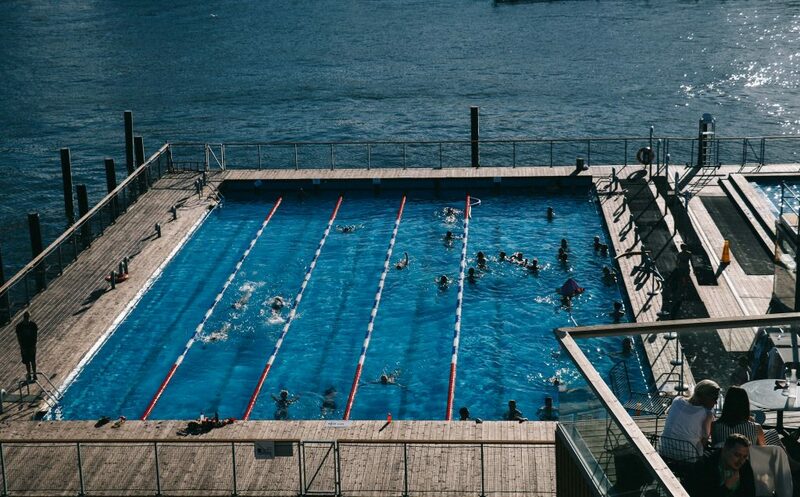 Or perhaps it’s outside, exploring the city’s green spaces, or swimming through its cool waters. You see, in Helsinki, life is not to be shouted about, but quietly enjoyed; the concept of ‘sisu’ helping it deal quietly with every event, every opportunity and every dark winter. 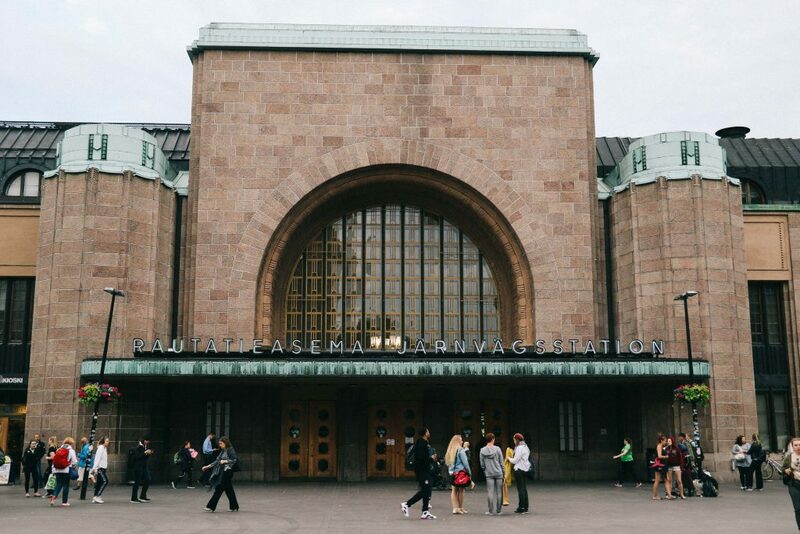 Yes, Helsinki might not be the most vocal of destinations, but don’t let that fool you. That’s exactly how it wants to be. 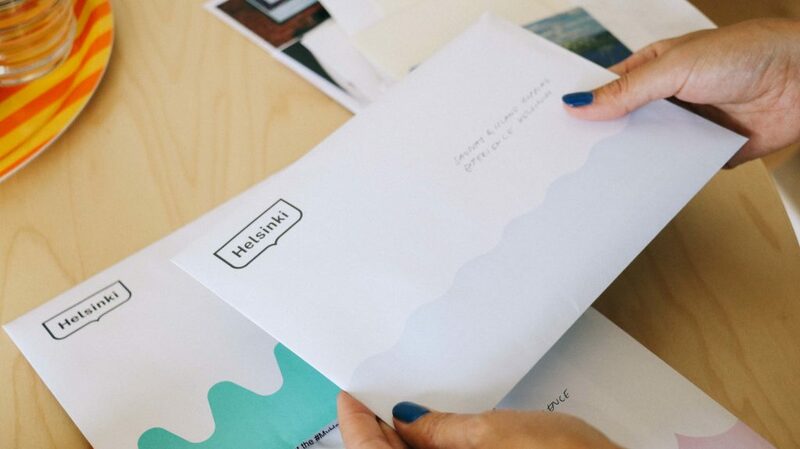 We hope you found our guide to Helsinki helpful. Any other recommendations for things to do in Helsinki? Please let us know below. 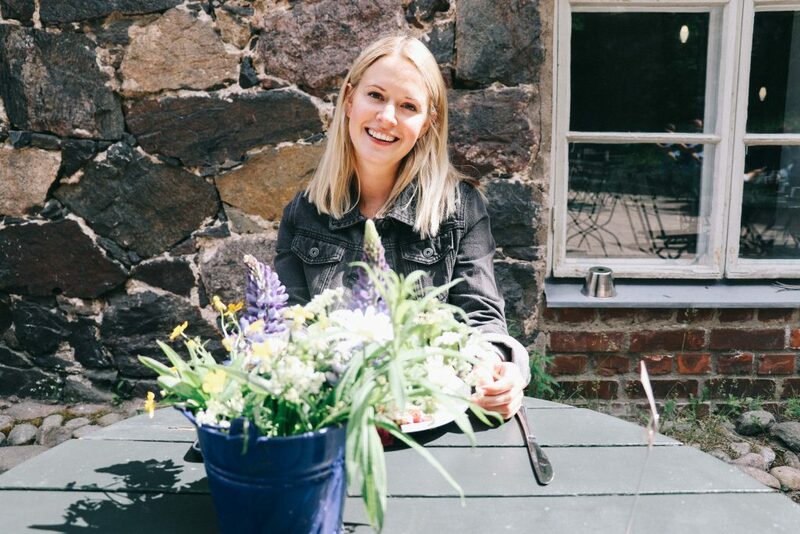 Staying in Finland for a little longer? Why not take a peaceful and stunningly beautiful trip out to the country’s Lakelands. 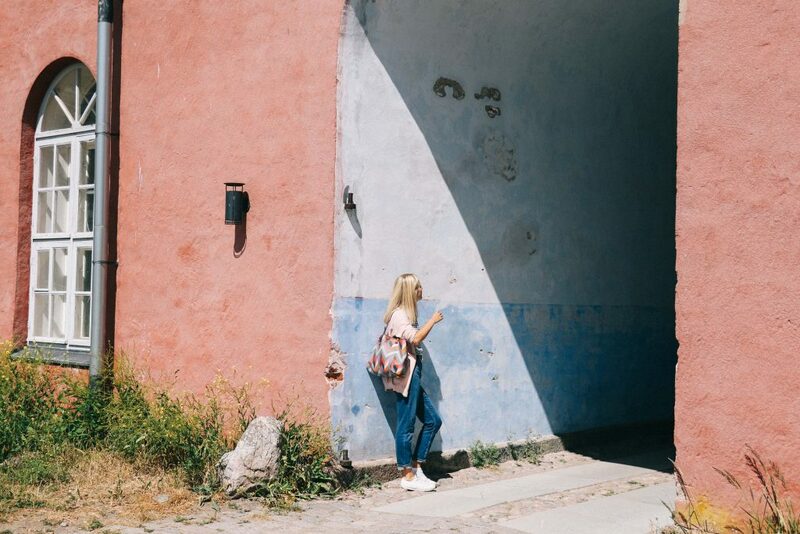 Want to explore more of Europe? Check out our itinerary for a two week trip around Europe, or our suggestions for alternative European city breaks. "Episode Two (Season Two): A Twin Perspective on Sandals Resorts"
You certainly had better weather in Helsinki than when we visited it so that’s improved its appearance somewhat but the overall impression we had of the city hasn’t been changed by your account; it’s a nice place; it has nice people; it’s all just very average though. The Finnish sisu, for instance, seems to translate to hardiness against the odds but we came away finding the Finns and the feel of the capital city more along the lines of total nonchalance. That obviously will appeal to some people but it wasn’t what we came in search of. Maybe we need to go back and see whether the city develops more of a distinctive character on a weekend or evening as we were only there for a day. 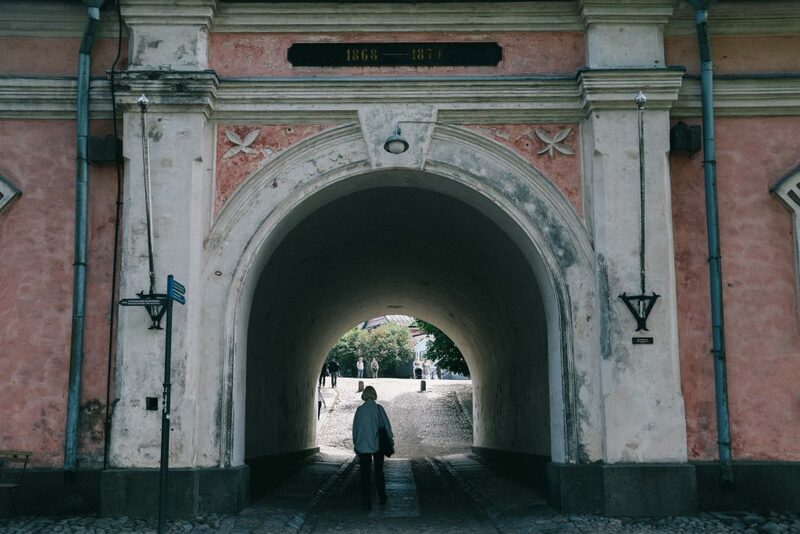 Lovely photos, though, and I think I’d like to see Suomenlinna if we returned. Hi Mark! That’s a shame you felt differently about the city but agree a weekend spent discovering more of Helsinki (especially the surrounding islands) might make you think differently! We absolutely loved it and are already planning a winter trip back!